Fifth Column Ltd., a screen printing company based in London contacted us looking for some rubber mats to help provide a safer, non-slip surface for colleagues working at their printing presses. 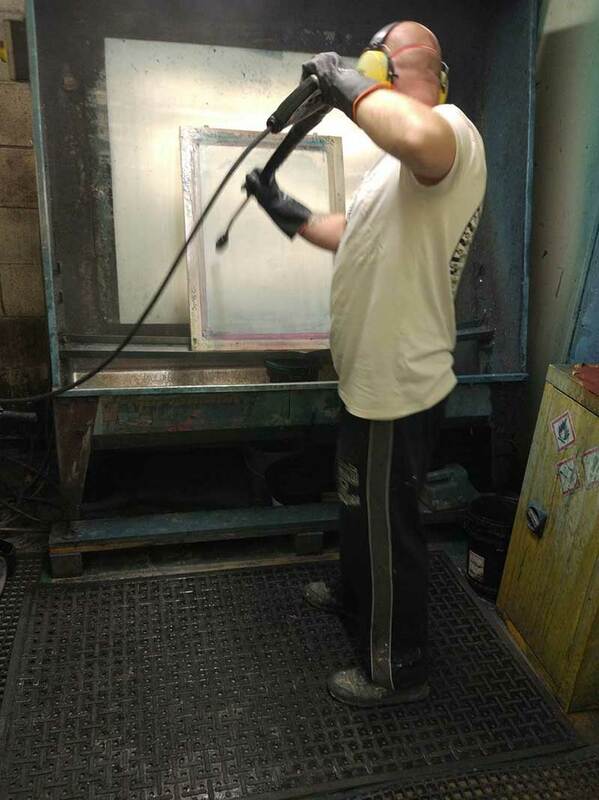 Managing Director, Zoltan said "As screen printers, we use them at the presses. We also use them in the wet room where we reclaim the screens and the floors can become very slippery. The K-Mats help to provide a safe, grippy surface." K-Mats are a resilient flooring solution for areas where, water, grease and fats are present. They work well in providing a slip-resistant surface and also contain effective anti-fatigue properties to help reduce tiredness on feet and legs for workers standing for long periods of time. They’re easy to clean too and can even be popped directly into a commercial washing machine. Fifth Column, have been silk screen printing and embroiderers for over 40 years. They create high quality clothing, t-shirts, hoodies and tote bags and can even provide a full design package. For more information visit their website www.fifthcolumn.co.uk.